Community college art instructor, indie music fan, SF Giants diehard, iPad fancier. 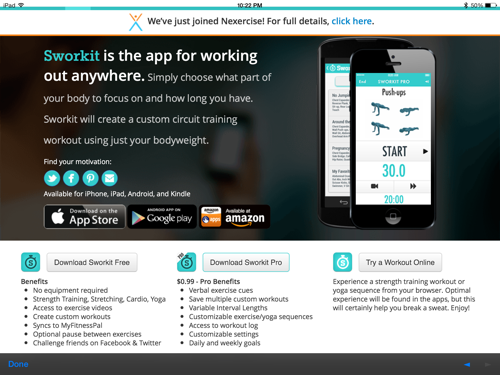 Sworkit is a mobile circuit training program. It offers an effective and easy way to do full- or partial- body workouts. The exercises are designed to use bodyweight for resistance, thus no equipment is required. The app comes in a free and “Pro” version ($ 0.99). The differences between the two are clearly spelled out in the App Store and on the Sworkit website. This review covers the free version. 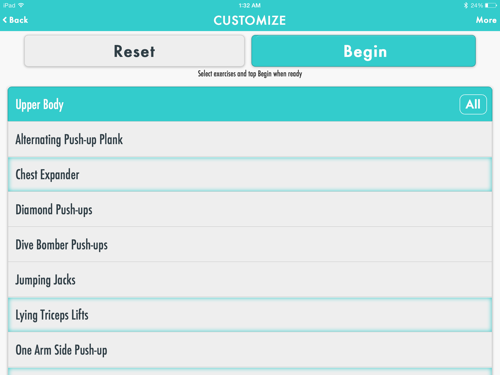 The app’s name combines ‘circuit training’ and ‘workout’ (swork), plus “it.” Sworkit has a personal, friendly feel to it. It is remarkably accessible. Most features are self-explanatory; it’s the type of app you can jump right into. There are helpful hints under ‘More’ when needed. Each screen is uncluttered; nothing detracts from the activity at hand, which is helpful for me when it comes to focus. Putting Sworkit to use is straightforward. You choose a type of workout, an area of the body to contrate on (or the entire body), choose length of workout (from 5 – 60 minutes), and begin. 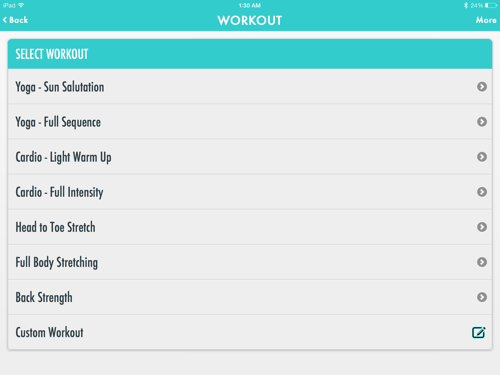 There is also the option to design and save one custom workout in the free version (under ‘Workout’). 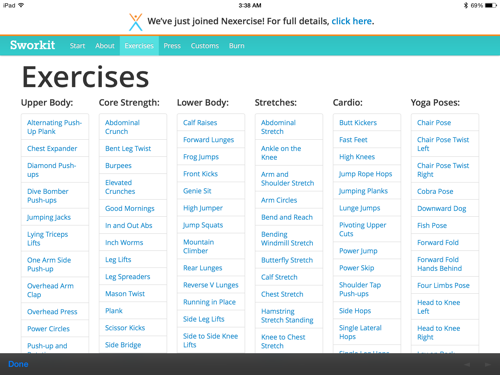 There are no limits in terms of how many exercises can be added from the library. Workouts start by choosing from (tapping) one of two exercise methods: 1) strength training, or 2) yoga, stretching, cardio. Each group is further broken up into Upper Body, Core Strength, Lower Body; Stretches, Cardio, Yoga Poses, and Back Strength. Within each secondary category there are from half to two-and-a-half dozen exercises or poses. A sampling includes triceps dip, overhead arm clap, elevated crunches, scissor kicks, single leg squats, seated hamstring stretch, shoulder tap pushups, prayer pose, and side plank. 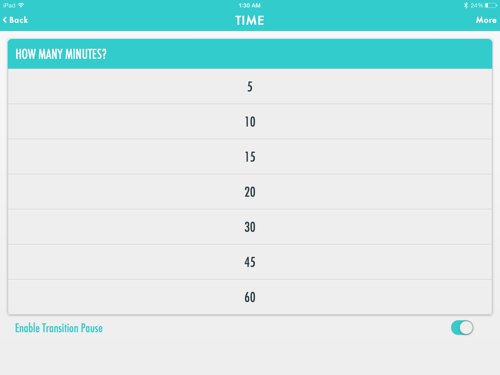 The balance and variety of exercises is one of the strongest aspects of the app. Once you’ve ready to be begin, from either choosing a pre-made workout, or one you’ve designed, the training starts when the large start button is tapped. When in use, the exercises and poses are randomized, which, as advertised, keeps the workout fresh. Each activity lasts 30 seconds; a bell rings when it’s over, there is a slight pause, and a female voice tells you when to “begin.” If necessary, the exercise can be paused and you can skip past any of them. The transition time in the free version is a quick five-seconds. The Pro allows you to lengthen the time. That alone is worth the $.99 upgrade. There are brief, five-second videos that demonstrate how to perform each exercise. They are imbedded in the exercise screen, and started by tapping the small movie camera icon on the left side of the timer (the exercise has to be paused in order to view it). If you’d like to view an example of an exercise, and train without interruption, the videos can be viewed in advance by selecting ‘More’ > ‘Exercise List’ or by flipping through the workout. I would like to see a setting that enables videos to begin at the start of a new exercise. 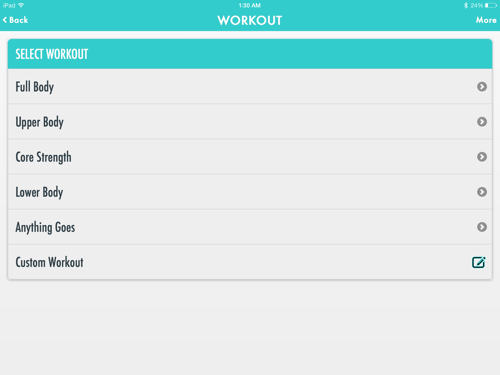 Sworkit syncs to My Fitness Pal, an expansive nutrition and exercise tracker. MFP is available online and in app form. Among other things, you can learn the amount of calories burned during the workout. This can also be accomplished on the app via FAQ > Burn. The app can also share results to your Facebook and Twitter accounts. If desired, music from your music app can be played during the workouts. There are an additional 18 custom workouts under FAQ > Customs. They include Surfer Workout, Pregnancy-Full Body, Office Refresher, and Golfer Workout. 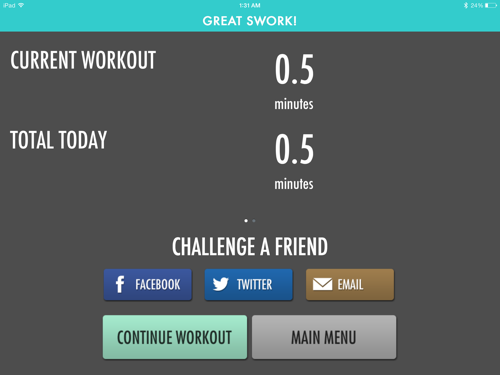 Sworkit is a complete workout app. The free version has a remarkable number of features and options, and it’s only $.99 to upgrade to Sworkit Pro. Using the app is almost effortless. For far too long, my home workout involved cardio, strength training, and core work. I became bored — and therefore avoidant — with this tedious routine. Sworkit revived me. Dare I say that I actually look forward to exercising again. The randomization of workouts is key to that. I am someone who likes to sketch, but my skills need refining. Concepts: Smarter Sketching app appealed to me; the descriptions and images on the developer TopHatch’s website and App Store implied it had tools to help me achieve better drawing results. Concepts is marketed to design and creative professionals, as well as casual sketchers. I am reviewing the free version; upgrades can be purchased for $1.99 a set. The app’s clean interface is easy on the eyes. Features like marking tools and settings are easily accessible. What is not made clear is which tools are free, and which aren’t. 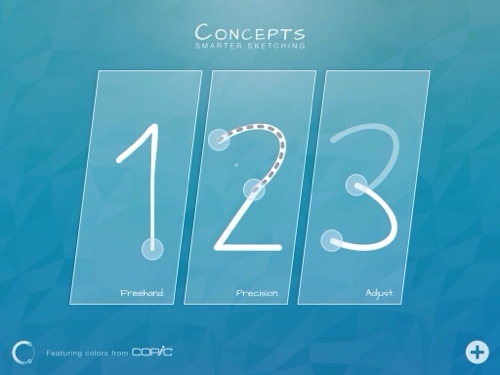 Concepts is presented as a fully loaded sketch app on both the website and App Store, but in reality the more desirable features must be ‘unlocked.’ I have long purchased free apps knowing I’d have to upgrade for the full effects; but, in my experience, the developers have always made it crystal clear which tools are free. Unfortunately, Concepts presentations are misleading and confusing. The images used in the App Store, the ones that sold me on the app, must be purchased, and that fact is not made in explicit terms; it’s in the fine print if you hunt for it and blended in with the paid features. 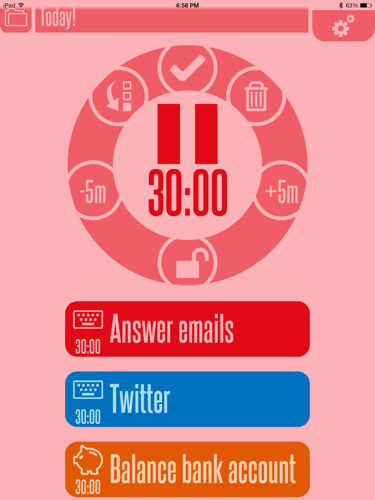 30/30, a task management app by Binary Hammer LLC, is built around the ’30/30 work cycle’ concept, which advocates a balanced approach to performance. More specifically, 30/30 refers to alternating between work and rest in 30-minute increments. The method is based on the theory that productivity and creativity increase when one is intensely focused on a project for short amounts of time — and in small chunks. In addition to functioning as a “reward,” the break allows one’s mind to refresh. Users aren’t held to 30-minute time limits; the settings can be easily customized for each task and rest period. As a productivity nut, I was intrigued by the concept, but skeptical because I’ve not found a task management app that works for me. 30/30’s price (free) and appealing interface was all the incentive I needed to try it. 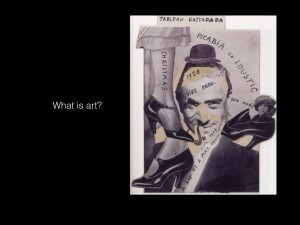 ArtStudio for iPad is an indispensable app for a wide range of artistic practices. Its accessibility, comprehensiveness, and wide-open capabilities inspired me to make images for the first time in decades. The app is marketed for sketching, painting, and photo editing purposes, but it is flexible enough to be used in a variety of ways. Features include a flexible canvas size, portrait and landscape orientation, sixteen tools, 150 brushes, palm rejection, favorite brush settings, customized stroke settings, open/closed shapes, layer options, bluetooth stylus support, import/export options, undo/redo buttons, forty filters, image resize, and comprehensive adjustment settings. The app’s layout is logical and tidy. 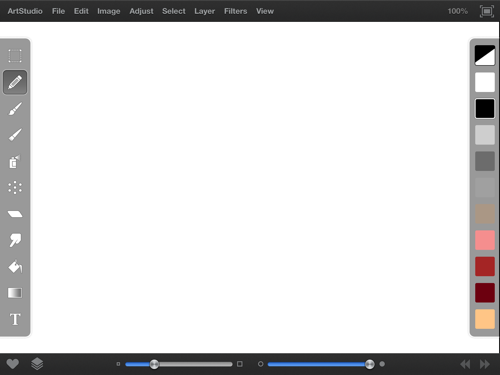 There are toolbars on each side of the screen, a menu bar across the top, and a toolbar along the bottom. The bars can be made to disappear with a tap of the ‘full screen’ button in the top left corner. Tools can be accessed on the left, colors on the right, and on the bottom, favorites, layers, brush size and opacity, and undo/redo settings. One can learn to work with ArtStudio in an organic fashion, as well through a User’s Manual, Forums, and Tutorials. The manual’s illustrations are accompanied by captions. The instructions are short and to the point, and aren’t always helpful. 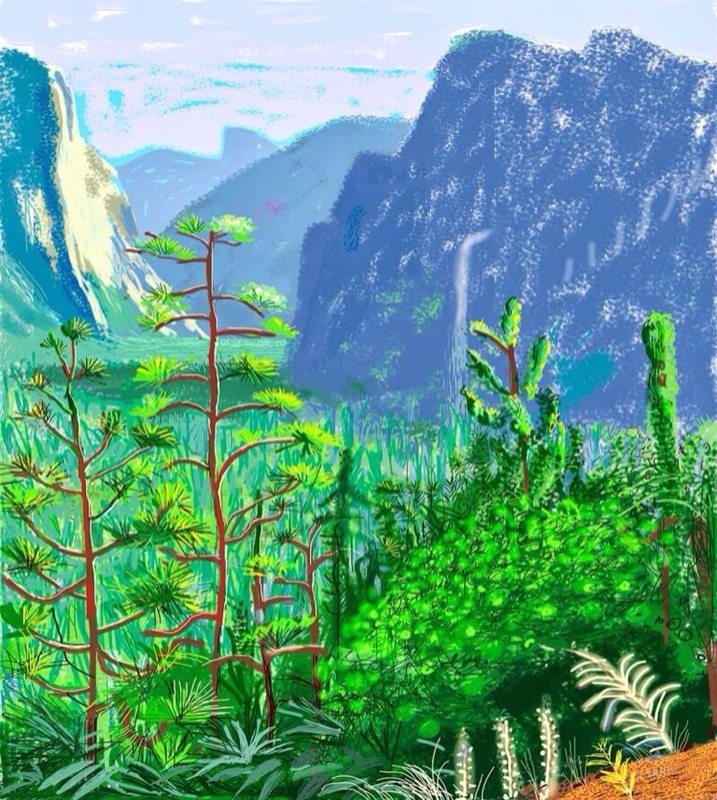 The de Young Museum in San Francisco, CA, recently hosted a David Hockney retrospective titled, “David Hockney: A Bigger Exhibition.” The expansive show featured work from the past decade and a half, including the artist’s famed iPad art. Hockney works in both conventional and emerging media covering a wide range of subject matter. His iPad drawings, specifically those housed in “light boxes,” were the stars of the show. The landscapes, still-lifes, and portraits were wonderfully rendered in their own right — playful color combinations, extraordinary textures and patterns, rhythmic lines — but the technology behind them added a new dimension to the consumption of art. This fall I successfully taught two college courses using only an iPad 2 (and iPad Air) — no desktop or laptop. The experiment went easier than I expected but it was not without challenges. I teach Art Appreciation and Art History at a local community college. For each session, content is presented on Keynote slides (typically consisting of 25 – 75 slides). Creating the presentations takes anywhere from three to fifty hours — most of that spent on the iPad. Naturally, the preparation involves a lot of time on the Internet for research, image selection, and administrative tasks.